It couldn't have come at a worse time! My camera is broken and I have patterns to photograph. No more pictures of buttons or anything else until it is fixed. Luckily Barb has a camera exactly like mine and she said she would loan me hers. I can't be without a camera. Hopefully my husband will take a look at it tonight. He's been working on the mowers....another thing we can't be without. I need some advice. Karen wrote the letter posted below to me and I'm wondering if those of you who are stitching Anniversaries of the Heart have any helpful ideas when working on a larger pieces of linen. "First let me say, I love all of your designs! I am a stitcher and a quilter, and am enjoying making many of your patterns. I am currently working on your quilt pattern, Love Letters, and stitching Anniversaries of the Heart on 30 ct. Olde Town Blend. My question to you is, I have never stitched a piece of linen this large before, and have been struggling with what is the best way to stitch it. I usually use a scroll frame, but this piece is too large for that. I am also concerned about using an embroidery hoop, and distorting my stitches when I start the next pattern. What would you suggest? Would it be ok to not use anything at all? I would really appreciate your reply. Thank you again!" Helpful comments would really be appreciated. I usually just stitch in hand. But maybe some of you know a better way. Bummer about the camera! Hope it's easily fixed. As for stitching large pieces, I'm like you -- I just stitch in hand. Works for me, but of course it's personal preference. Hi -- Hope your husband can fix your camera or you get Barb's soon, as I am eagerly awaiting pictures of the next house in the series as well as the bonus. I'm a Q-snap stitcher, and have been using an 8-inch set for the Anniversaries which I am stitching on one large piece of 40-count linen. I use pieces of that cotton-like quilt batting between the linen and the top Q-snaps. Felt could also be used. To contain the excess fabric, I bought one of those Q-snap cozies in the 11-inch size and it manages to keep the excess fabric, which I roll up, out of harm's way. I am also working on a really large piece that I have on very large Q-snaps, and I think using the smaller ones and moving them is easier on my hands and arms. What a bummer for you and all of us about your camera. Your pictures are always so great. You are lucky to have a handy hubby, who I am sure will fix it. Love the button photo anyway! Hi, I am using an 7-8 inch hoop wrapped with masking tape so the linen does keep getting loose and then I roll up the sides and run a basting thread through the layers to hold temporarily and then roll the bottom up and baste also. When I move on to the next house I remove basting threads and re-baste again. Sorry to hear about your camera woes. Hope you get it fixed soon so we can all see more pictures. I was taught to cross stitch on linen using no frame or hoop. I've stitched many large pieces and just roll the edge of the linen until my hand is close to the area I'm stitching. After a while the linen just naturally rolls and it's easy to work on. I use Q-snaps with either felt or the 3 inch border edge of the fabric cover any stitched area. I also roll up any excess and use a clamshell type hair clip to gather it up. The clip is easy to use and isn't tight enough to crush the fabric. Although my dog did try to eat one once. Hope your husband and fix your camera. I'm a q-snap user and I use batting to put between the top of the q-snap and the fabric. Then for the excess fabric I use light weight clips - I got mine from bed bath & beyond - and roll the fabric up and clip it. Good luck. Yep...just stitch it in hand, rolling the extra fabric and basting it together...or Q-Snaps are a great alternative too, with the "cozy". Hope your camera is feeling better soon! I hope your camera gets fixed soon, I love looking at your photos. I have always stitched in hand and then just roll the fabric up to get around the bigger pieces. My mother can not do this she just feels that the stitches aren't tight enough so she uses a hoop, just takes it off after each stitching session and doesn't tighten it too tight. Oh no! Being without a camera is the next worse thing to being without a computer! As for the advice - I always stitch in hand no matter the size, but everyone has to try different methods to find the best way for themselves. Guess that's not much advice, is it? Until now I have never used any hoop when cross stitching and I am fine for about 30 years (started at 8!) Give stitching without any hoop a try, I just love it. Especially on linen! I am a professional framer as well as a cross stitcher, and I highly recommend using the Q snap method. I know that a lot of people don't use hoops or frames, etc., but when you hold the linen in your hands, the oils from your hands cause damage to it. I can't tell you how many pieces of needlework I have framed that have been soiled by the person's hands, even when they thought they were clean. If you continue to use this method, buy some cotton gloves like the ones photographers and museum workers use and keep the linen from touching your skin. It will be a much prettier result, I promise! I use Q Snaps I have all sizes, I fold the fabric over and put on the snap this helps to keep the fabric tight without hurting the threads, good luck. I am so sad about your camara, I have a cheap disc camara and love it I plan on graduating to a much better disc camara soon. For large pieces I too use Q-snaps. I don't have a "cozy" for them - I do use white felt strips underneath the clamp part which keeps the stitching safe and the Q-snaps tight. The excess fabric I roll up and clip to the frame using a couple of those plastic butterfly hair clips. They work great for me. I am stitching a piece that is on a yard of linen. I stitch in hand. I'm a Q-Snap user, too. I put 3 inch pieces of felt under the clamps. I roll up the excess fabric and put shower curtain rings over the sides of the snaps. Holds the excess wonderfully without making holes in the fabric. Alma, having owned a needlework shop, I know what a hoop can do to beautiful stitching. I learned to work without one. Especially with linen, a hoop can not only distort the weave, but oil on our hands leaves a ring that simply won't come out. If you're right-handed, roll the left side of your fabric towards the top of your stitching until it's close enough to where you need to stitch. By rolling the fabric so that the back of it is on the top of the roll, any oils from your hands won't be transferred to the face of your work. And, it makes it easier to work on a large piece. I usualy stitch in hand, unless the stitch I am using requires tension (like a queen stitch). I find my cross titches are just fine when stitching in hand. To deal with extra fabric on the sides (or top and bottom)I roll up the extra fabric and use binding clips (like those used in quilting)on the edges to secure the fabric roll. Cameras always stop working just when you need them the most! Love your patterns and I now I am collect Anniversaries of the Heart can´t wait for December Patterns is my birthday month!! i roll the fabric so the stitching is to the inside and pin it. Then i stitch with the roll in my hand. It minimizes wrinkles by rolling and keeps your stitched work clean because you have rolled it to the inside. I prefer to use a Q-snap. I mix sizes to match the area I am working on. So, I attach the Q-snap and roll excess fabric toward the frame and use a hair Clip to attach the fabric to the frame. Round clips that pinch to open are the best. A friend "invented" this technique when she snatched the clip right out of her daughters hair! Now it has become a necessary stitching aid. I agree with the qsnap alternatives...especially with this large of a project, it will stay much cleaner. The cozy and opting for different sizes of snaps, will help. Hope your camera is fixed and soon. Know how frustrated you must be! I have been reading your blog and love the samplers you have posted. I like working on samplers better than anything. I Love your Header with the buttons in the bone dish. I just hold the fabric as well. Even if I wanted to use a hoop or a frame, I'd never be able to find one when I wanted to stitch anyway! I usually stitch in hand. That being said, I use Q snaps when I need to have a change...I use soft cotton or flannel to "cushion" the snap part on my stitches. When working with a larger piece of linen (either in hand or with the Q snaps), I use a papertowel cardboard roll, with clips of some sort (usually plastic clothes pin)...I roll the excess linen around the cardboard roller and then clip the ends, with just enough slack that it sits on the arm of the chair or my lap to take the weight off. I also used those rolls to store my finished needlework awaiting framing (so it's not folded or creased). I stitch in hand (no frames, etc.) nearly all of the time. The only time it is really important to have your linen taught is when you need help keeping proper stitch tension like with Irish (bargello, florentine) stitch. It's never a good thing to be without a camera - best of luck fixing it. I am an in-hand stitcher as well and unfortunately I don't have many pearls of wisdom, however - you could roll the fabric on the sides and baste down creating your own 'bar' if you will to hold on to while stitching - sort of like stitching in had but with sides that are semi-sturdy. I use a scroll frame with large pieces, qsnaps with medium size pieces, hoop with small or in hand. I spend more time fussing with lots of fabric in hand than I do stitching. Assuming you are using the half yard recommended, they can get you the stabilizer bar and scroll rods to size. I've had mine for years and it's the only thing I can stitch with since my back hurts hunched over in hand. Happy customer first, friend later. Concurring with all those "in hand" stitchers. Just remember to fold/roll your linen so that your hand are actually holding the wrong side of linen. Cuts down on any residue you may have on your hands. Have never used any kind of hoop and this permits you to zero in on stitching area. I also just hold my stitching in my hand and roll the fabric. I haven't had very much luck with Q snaps, they seem to misshape the linen for me. I'm sorry about your broken camera. I can sympathize as my Dh broke part of ours when he was deployed one time. I swore then to never be w/o a camera and I made him buy me my own before he left again this last time. I too stitch in hand. For medium projects, I use a scroll frame too. For large projects, I tend to stitch in hand or use q-snaps when I need more stability than what my hand can provide. I also roll the excess fabric when stitching in hand up to where I'm stitching at and sometime clip it when a brand new hair clip that you can twist up a lot of hair with. 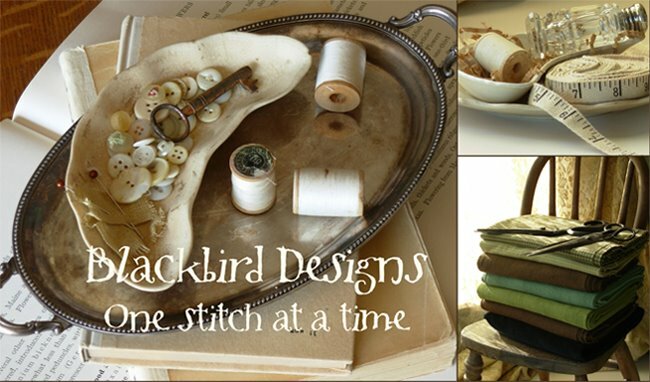 I often stitch a larger piece with it laying flat on a table and weighted down by a long rectangular tin in which I save my small change - this is usually heavy enough and saves the strain of holding the rolled up excess material in my hand, and it also frees up the other hand to help guide the needle. I enjoyed reading it and I think other readers might enjoy reading it as well.Thanks.